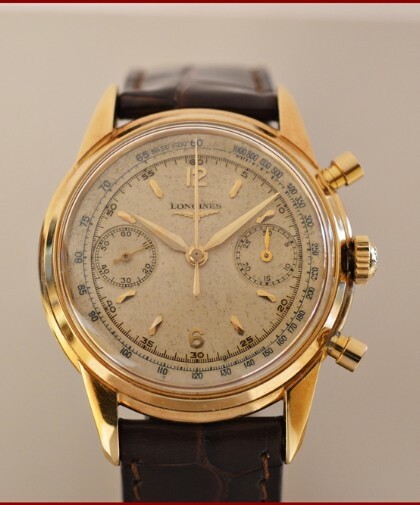 Description Wristwatch Longines chronograph 30CH Yellow gold 18kt. Ref. 6779 1 - cal. 30CH num. 96xxxxx - year 1955. Original dial and shop paper.